Live text commentary of Wolves vs Man United in the Premier League. Kick off is set for 7:45pm GMT. I've been Will Laing and that's all from me, thanks for joining me and make sure to follow VAVEL UK for all your coverage on all the Premier League fixtures. That fantastically deserved three points has put Wolves right back on track for Europe. They are now sat back in seventh with plenty of confidence going into the FA Cup on Sunday against fellow European contenders Watford. That's United's third loss in their last four games, it seems as though Solskjaer has got a lot to do yet. Although they are going in the right direction, they seem to have taken a wrong turn. 90+5' Molineux erupts as the full time whistle is blown. 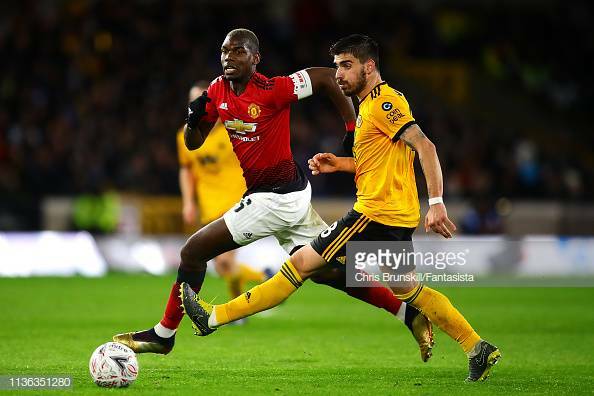 What a blow that is for Solskjaer and his men, but an incredible three points for Nuno's European hopes. 90+3' Ivan Cavaleiro has just gotten the better of Lindelof to go one on one with De Gea. However, an unfortunate bobble blasts his left footed effort on to the bar. 90' There will be five minutes for Wolves to hang on to this well deserved three points. 90' Chris Smalling has been denied his brace but in the wrong end. 80' Ole's are coming from the stands but it isn't United fans this time. Wolves fans are loving this. 77' A scrappy scuffle in the goal mouth has ended up in the back of the net, but for Nuno's men they all count. Chris Smalling won't want it but it has been credited as an own goal, - despite Leander Dendoncker wheeling away in celebration. 76' A straight swap at left back with Vinagre coming off for Jonny. 72' Diogo Jota has been replaced by fellow Portuguese winger Ivan Cavaleiro. 70' Jota has been brought down in the box but he made a lot of an innocent coming together Dalot. 65' Fred makes way for the defensive option of Phil Jones. 57' A second yellow for Young results in his dismissal. He could have easily been sent straight off for his late challenge on Portuguese winger, and goalscorer, Diogo Jota. 55' Lukaku crosses the ball into the box, for it to be flicked onto the penalty spot by Pogba. Goalscorer, McTominay attempted a diving header straight at Patricio. 50' Not much has happened in the opening five minutes of this half, Vinagre has just put his first cross into the box in an attempt to create a chance, but the ball ends up safely in De Gea's hands. 46' As the second half begins, Fred has his first effort on goal. It goes just wide though. 45+1' Mike Dean blows for half time with the teams level. 45+1' Lukaku just inches away from putting United ahead at the break. 45' There will be a single minute of added time. 43' A deflected effort from Neves gives De Gea something to think about. The Spaniard just manages to hold onto the dipping shot to keep it from crossing the line. 36' Jota has just sent Young for hotdogs and immediately gives away a foul. Do you want ketchup or mustard with that? 30' Confidence is flowing through this Wolves side now. Neves has just had a wild effort thats flown high, wide, and not very handsome. 28' Wolves fans are in good spirit after their goal. United fans at the brunt of it. 25' A poor touch from Fred allows Wolves to hunt in packs to close him down. Raul Jimenez slips the ball through to an on running Diogo Jota who calmly squeezes the ball past a helpless De Gea. 17' United are getting a grip on this game now. Lukaku nicked the ball off of McTominay's toe as he goes to strike, then puts the ball on a plate for Lingard who forces Patricio into a fantastic save. 13' Slow, patient build up play for the last few minutes ended up at youngster Scott McTominay's feet on the edge of the box. He must have been running out of patience as he struck the ball sweetly into the bottom left hand corner to make it 1-0. 6' Dalot puts in a whipped ball that Lukaku really should have put away but the ball ricocheted off of the Wolves bar and out of danger. 5' Despite the fast start the flow has significantly slowed down as they both look to settle into the game. 1' United take a kick off and instantly manage to get the first shot on target of the game. Starting XI: De Gea, Young, Lindelof, Smalling, Shaw, McTominay, Fred, Pogba, Dalot, Lukaku, Lingard. Subs: Romero, Jones, Rojo, Matic, Pereira, Mata, Martial. 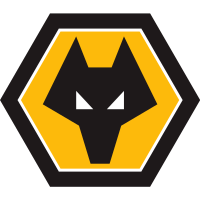 Starting XI: Patricio, Bennett, Coady, Boly, Doherty, Dendoncker, Neves, Moutinho, Vinagre, Jota, Jimenez. Subs: Ruddy, Saiss, Jonny, Gibbs-White, Traore, Costa, Cavaleiro. While Wolves have been in contention for Europe for the majority of this season, the dream seventh place is slowly slipping out of their once firm grip. With Leicester, Everton, Watford and West Ham within two points, Wolves will be hoping their cup run doesn't hinder their end of season European push. Manchester United however, are the form team in the league and if they pick up three points tonight they will go third - an achievement that looked nigh on impossible under Jose Mourinho. In typical Wolves fashion, the last time these met they put in yet another dominant performance against on of England's top sides. The Wanderers came out 2-1 victors in the quarter final of the FA Cup. However, in the reverse Premier League fixture, United managed to hold the midlands side to a point in a 1-1 draw at Old Trafford. Hello, I'm Will Laing and welcome to VAVEL UK's live commentary of tonight's 7:45pm kick-off between Wolverhampton Wanderers and Manchester United. With only hours to go until we get under way, I will be revealing everything there is to know about tonights match-up.